All the great benefits of Memory Foam with the cooling effects and extra body support of Gel. Memory Foam cradles your body, supporting you and relieving pressure. The Express Bed in Box QUEEN 10"GF10 BED IN BOX by Serta Canada at Stoney Creek Furniture in the Toronto, Hamilton, Vaughan, Stoney Creek, Ontario area. Product availability may vary. Contact us for the most current availability on this product. 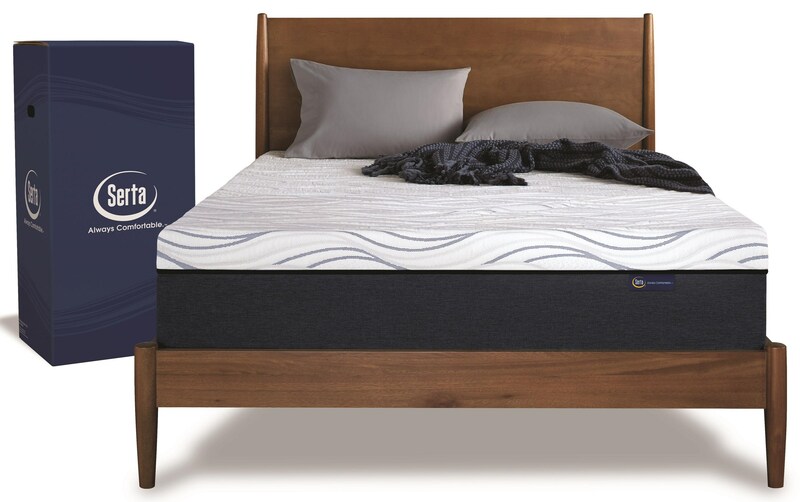 The Express Bed in Box Memory Foam Mattress allows you to grab you bed and go! An easy way to get a 10" mattress into hard to get to places like up narrow stairs or tight hall ways. Just throw the box in your car, bring to your room and unbox, unwrap and let it take its full shape. You get a quality 10" Premium Gel Infused Memory Foam Mattress, in a box. The Express Bed in Box collection is a great option if you are looking for Mattresses in the Toronto, Hamilton, Vaughan, Stoney Creek, Ontario area. Browse other items in the Express Bed in Box collection from Stoney Creek Furniture in the Toronto, Hamilton, Vaughan, Stoney Creek, Ontario area.